Fun Spot America is Central Florida’s ONLY family owned Theme Park. 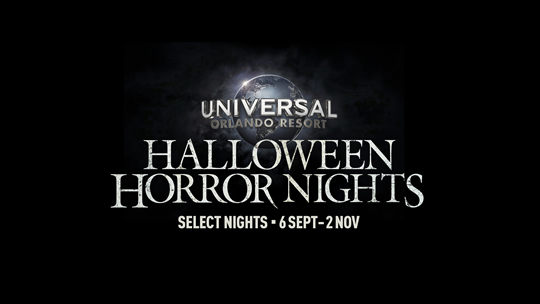 With 2 exciting and distinct locations; Orlando and Kissimmee, both parks offer a unique and safe-clean-fun experience. Whether you are a thrill seeker who wants “Bigger! Faster!” expeiriances or someone who prefers the lights and sounds of the arcade there is something for everyone at Fun Spot America! Fun Spot America is one of Orlando’s best kept secrets where you and your family can choose to experience everything from our US patented multi-level go kart tracks that will provide a one of a kind riding experience or choose a thrilling ride on White Lightening - Orlando’s only wooden roller coaster or Freedom Flyer - North Americas longest Suspended Steel Rollercoaster! 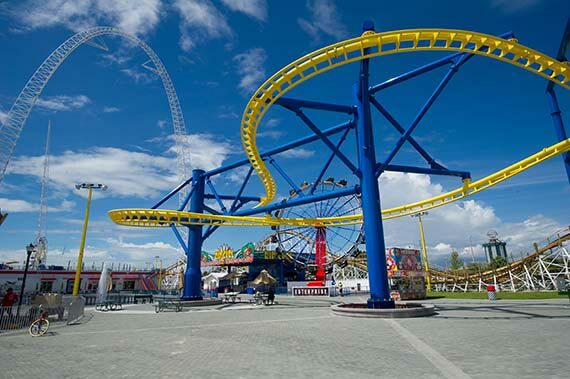 Both Fun Spot Parks (Orlando and Kissimmee) feature 5 multi-level go-kart tracks, the World’s Tallest SkyCoaster thrill rides, more than 50 additional Family & Thrill rides and 180 arcade games ranging from the Classics to State of the Art between our two parks. Rides for all ages including Bumper Kars and Bumper Boats, Carousel, Tilt-A-Whirl, Fun Slide and lots more daring rides. Kid’s Spot features smaller thrills for our smaller guests, plus Free Admission, Free Parking, Free Wi-Fi for HUGE value. 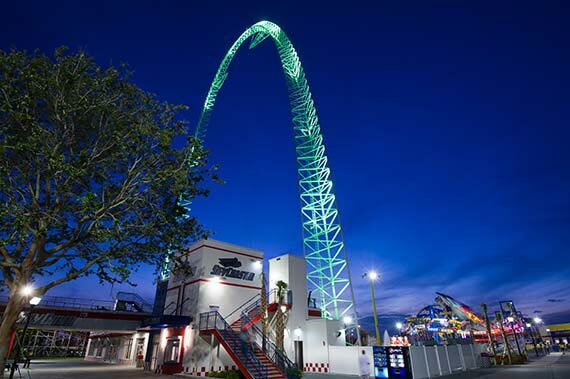 2 Sky Coasters – Orlando’s 76 meter arch and Kissimmee’s 92 meter arch is part sky-diving, part hang-gliding but all thrills. NEW: Fun Spot America Theme Parks and Gatorland have partnered to create 'Gator Spot'. When you visit the 15,000-square-foot park you will see alligators of varying sizes, including a habitat for a leucistic alligator, a rare white gator with blue eyes. Inside 'Gator Spot' you can take photos and feed the alligators. The attraction also features many exotic birds, snakes, lizards and aquariums. 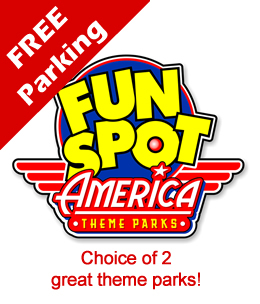 We are easy to find: Fun Spot America is located just off International Drive only 3 kilometers from Universal Studios Orlando - Fun Spot USA is located only 5 Kilometers from the Maingate to Disney on West Irlo Bronson Highway in Kissimmee, Florida. 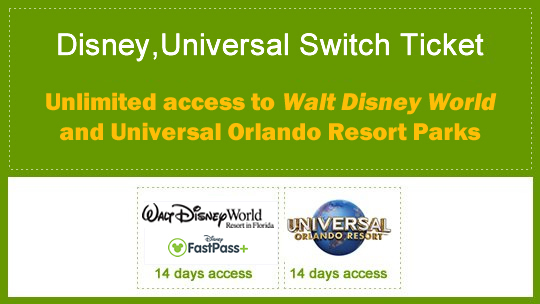 The Armband includes unlimited roller coasters, multi-level go-karts and rides for one day, one park. The Fun Spot America Armbands expires after first day of use. 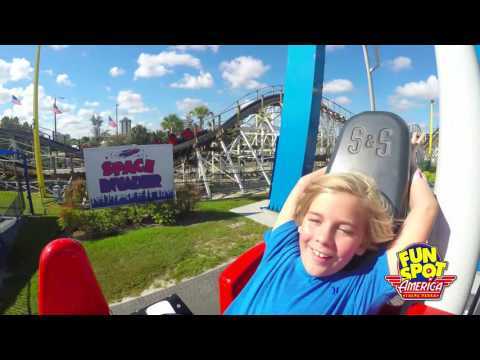 The Fun Spot America Armband can be used at either Fun Spot Orlando or Fun Spot Kissimmee. Exclusive ticket, you cannot purchase this ticket outside of the UK. 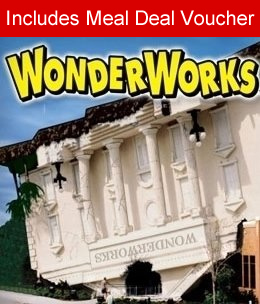 Q: How do I redeem my Orlando Attraction Tickets voucher? Q: How many times can I use my Fun Spot America Armband? 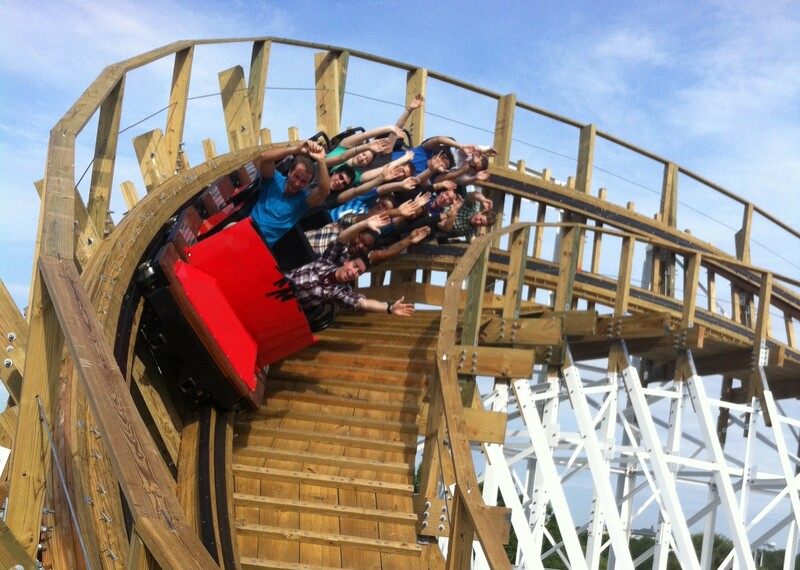 A: Your Fun Spot America Unlimited Armband is valid for One Day for one of the Fun Spot Parks. 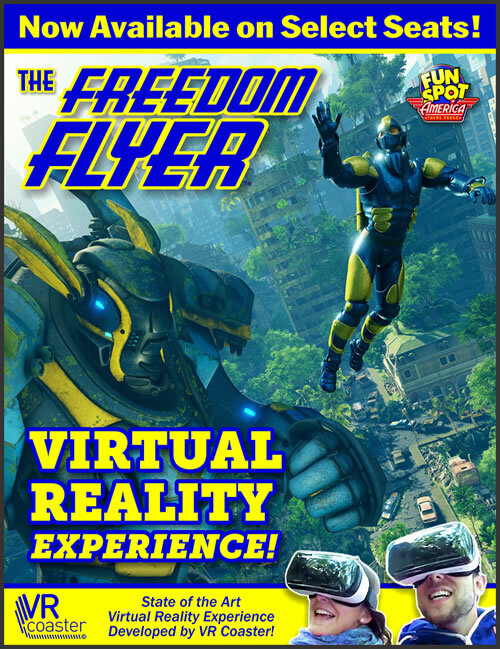 A: Yep Fun Spot offers Free Admission for those not wanting to ride and also includes Free WiFi at both parks. Wear comfy shoes you’re going to be doing a lot of walking.